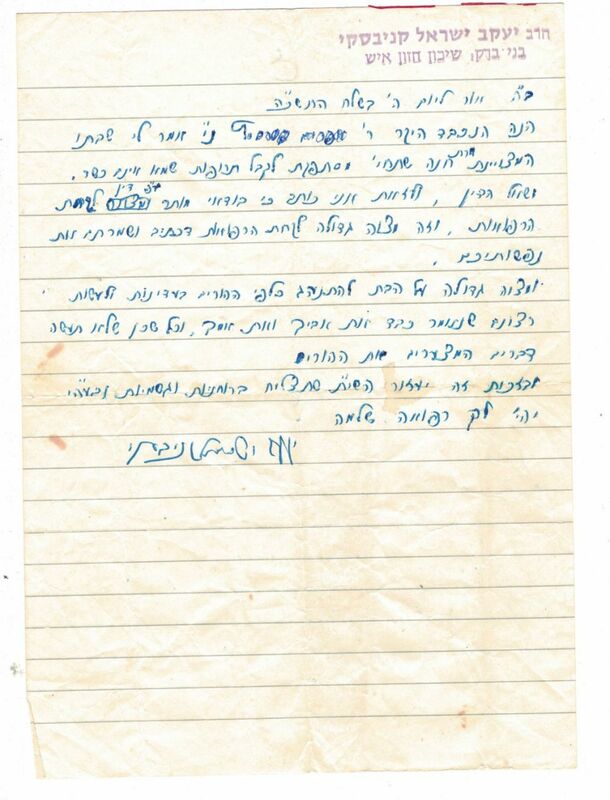 A letter handwritten and signed by the Steipler, in which he guides a woman who doubts whether to take medicine "since it might not be kosher". The Steipler recommends taking the medicine. He then writes about the importance of the Mitzvah of respecting one's parents.